Another recommendation for all systems is to include a restoration function to allow you to return to the original version of the system. Following this step will give the user access to their system pre-infection and they can patch up the weakness without losing data or suffering damage to the data. Along these same lines of prevention, the RECUVA tool is another way to recover data. In order to fully understand the effects and weaknesses of the Wannacry ransomware, we have been conducting continuous tests for the past few days. Through these tests, we have learned key steps so that we can continue the fight against this issue troubling our users and organisations. These tests should only be carried out by a member of the IT department of the organization. There are two ways in which the ransomware encrypts files. In both ways, Wannacry uses a temporary file to control the selected files with the malware. Thanks to this, it is possible to recover the files that were affected by the ransomware. In the first instance, the malware will identify that the system has a partition with the data and use the %userprofile%appdatalocaltemp route to move the files so Wannacry can encrypt them. 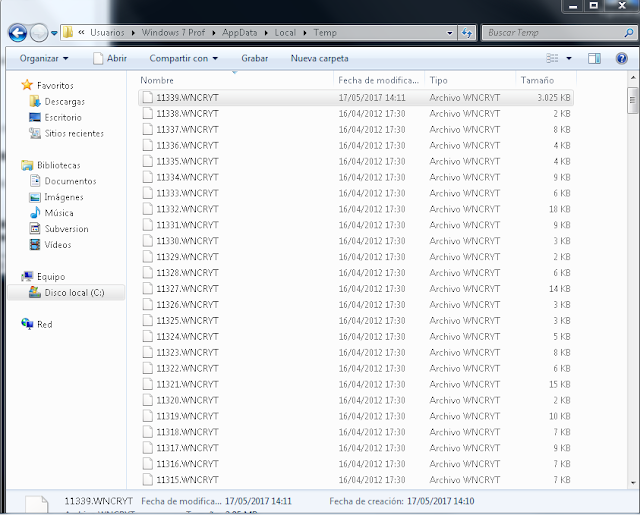 The first file that is moved will be renamed as 0.WNCRYT, the second, 1.WNCRYT, following this pattern successively. Wannacry will start to encrypt each one of the files to correspond with the WNCRYT title and instantly delete the infected file. The data that has been saved in the %userprofile%appdatalocaltemp location is a temporary file and is not encrypted. The location and name of the data has only been changed so that the content can be recovered, as it has managed to avoid encryption. Not all files are moved by the ransomware as it is a random process in which the temporary and encrypted files are created. Due to this, not all files can be recovered. In the second instance, the malware identifies two data partitions in each system. The malware then creates a second partition at the root of a file named $RECYCLE, which should not be confused with $RECYCLE.BIN. The $RECYCLE file follows the same pattern as before in which files are moved across with the aim of encrypting them. When a file is categorized under the WNCRYT extension, the content has not been lost as it has not been encrypted. As soon as Wannacry encrypts the archive as WNCRYT and it has been converted to the WNCRY format it is officially encrypted. Unfortunately, it is not always possible to find this sort of file. When Wannacry encrypts a file, the corresponding temporary file is deleted, which means that the information is lost. However, if the user turned off or hibernated their system before the process of encryption or infection, the process would be prevented. This would prevent all the temporary WNCRYT files from being encrypted and the previously eliminated files would then be retrievable. These temporary files that are kept under the %userprofile%appdatalocaltemp or $RECYCLE will be available depending on the previously discussed conditions. They will simply have a different file extension. However, if the ransomware finishes the encryption process for the archives, there would be no temporary files left, which would then stop this recovery process. On the other hand, if the ransomware does not complete the encryption process or the computer is turned off or on sleep mode, this would allow for partial retrieval of information. 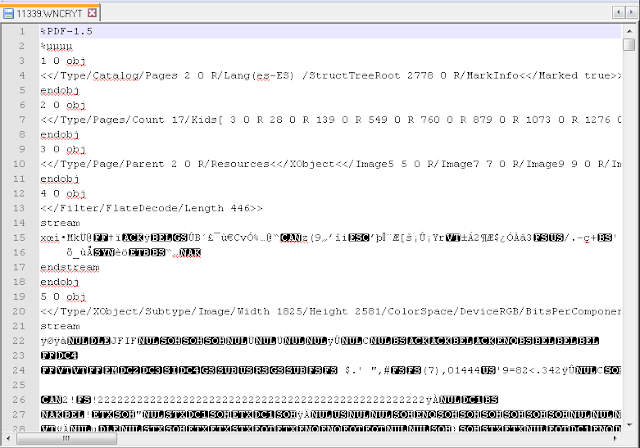 For example, the previous image shows a large amount of temporary files that Wannacry was unable to encrypt. These files would be opened as a PDF file with a heading. By simply renaming the file extension, the file and its content can be recovered. These files are recognisable by the heading of the file, as the original name is no longer available. The following image, shows how to access the renamed files. This file name was changed from 11339.WNCRYT to 11339.WNCRYT.pdf and is now able to be opened through Windows, when the file is opened with the default application associated with the extension. The image below shows that the file is intact. 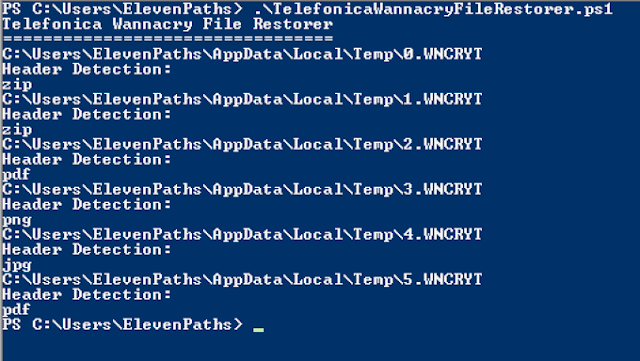 With this background information, here is a useful Telefónica WannaCry File Restorer script to use. 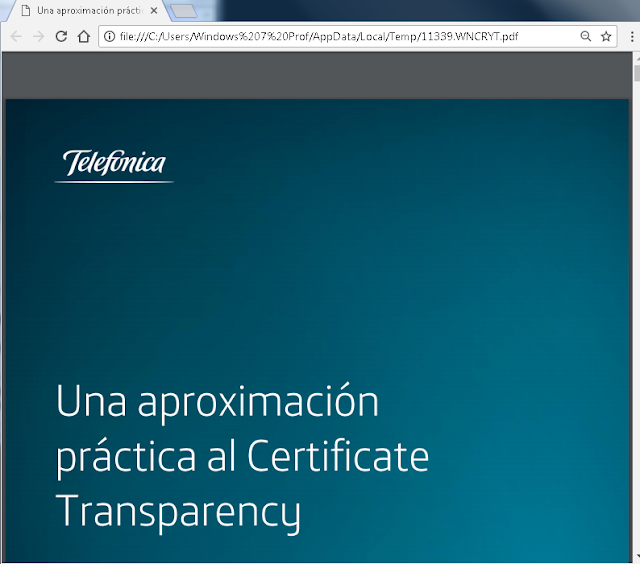 This was developed in the labs of Telefónica with the objective of being able to retrieve and restore corrupted files. You can also find on our GitHub the Alpha Version script which we will be updating constantly.